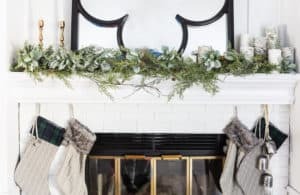 order now My master bedroom… since I created the faux evergreen and white pom pom garland specifically for the upper part of my bed, that is the same as last year. But I soooo love it, so it stays. I swapped out a pair of white pillow shams for some regular red pillowcases that I got for $5. 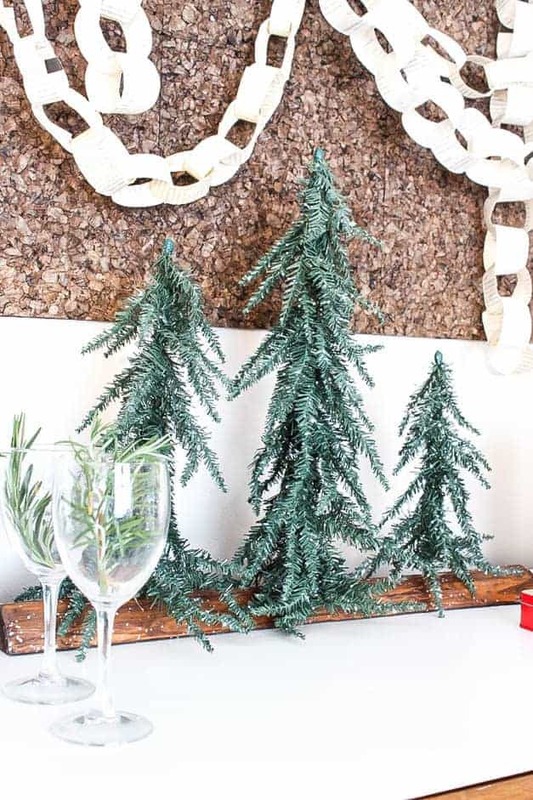 Then I added a set of mini faux evergreen trees to my nightstand. Pretty sure I got them for $5 a Hobby Lobby during clearance. My office… I didn’t do too much in here. I had one of those boards with the ribbon criss crossed over it where you could display photos, etc. The fabric print was outdated, so I replaced it with a wintery plaid and red velvet ribbon, and voila! buy generic viagra My little bar gets a lot of love on my blog. I covered a piece of art work in a sheet of this old school awesomely CATastic old school wrapping paper. You know you love it 😉 Then I added some red stripe paper straws ($3 at Target), and some rosemary from the grocery store (it smells di-vine!). The reason for the glow in the back in the table is the mini lights I have in two empty liquor decanters. They don’t photograph too well, but they’re still festive. 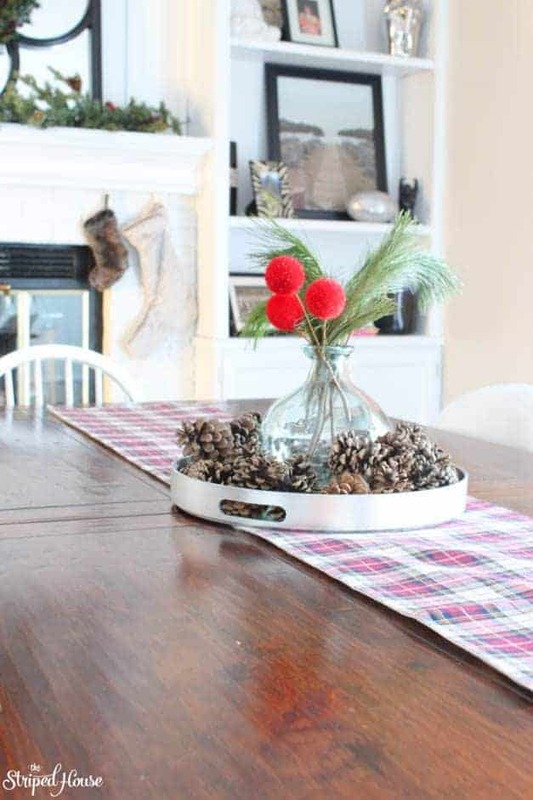 viagra buy now I have a couple more holiday DIY’s planned, so make sure you’re following me on Instagram to see more! 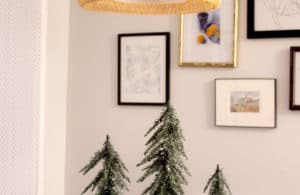 I’ve never used real evergreens for decorating. We always had a fake tree growing up, so that’s what I got, and I always got fake garland, etc. I decided I wanted to give the real greens a go this year, and I’m really liking it. TIP: Stop by the outdoor tree cutting area at Home Depot. I was buying my garland when I spotted a shopping cart with scrap branches from trees they had trimmed and sold. I asked the nice highschool boy cashier what they did with them. He said I could help myself, and I made a beeline to the cart! 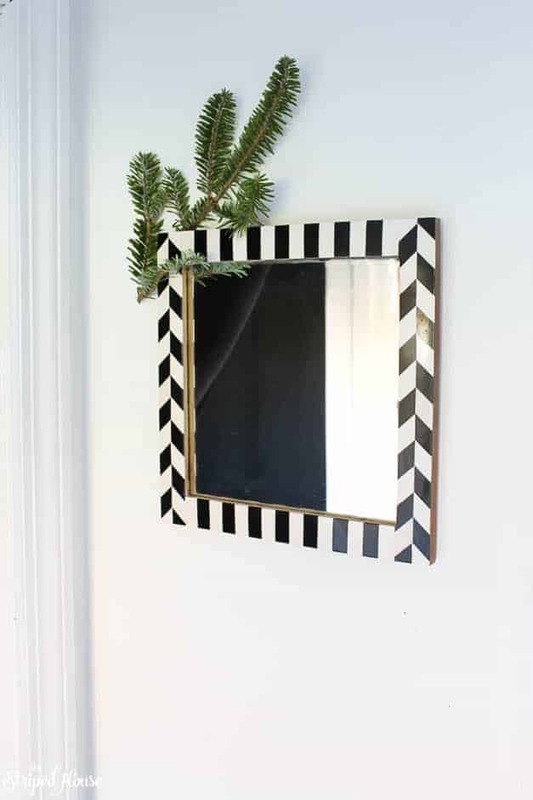 I took a couple, brought them home, cut them down into smaller pieces and have been tucking them in everywhere, like the little mirror I have in my master bathroom. generic viagra My Dining Room… I bought too much rosemary, so I added some to wine glasses on my credenza. Y’all my dining room smelled so good. click here My kitchen… I more or less took out the blue elements and replaced them with red. I’m really liking the red, maybe I won’t go back to blue??? Want to see more of my tree? 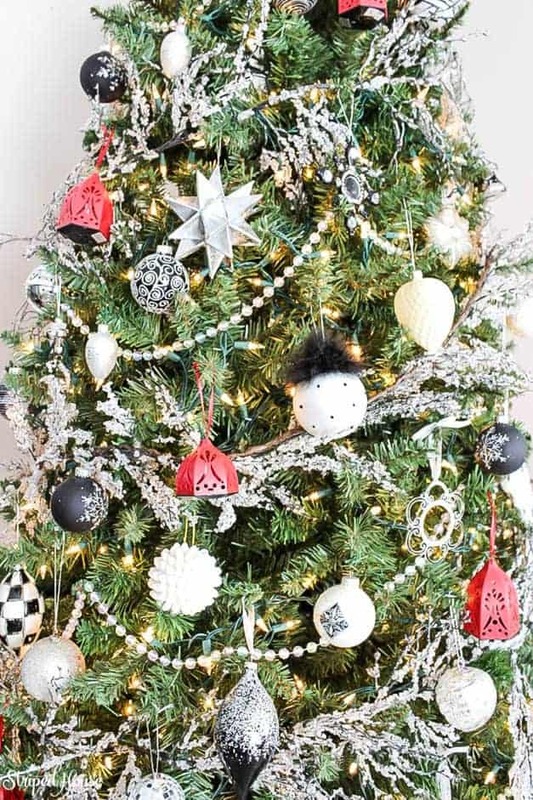 Check out yesterday’s post that is all about my tree! 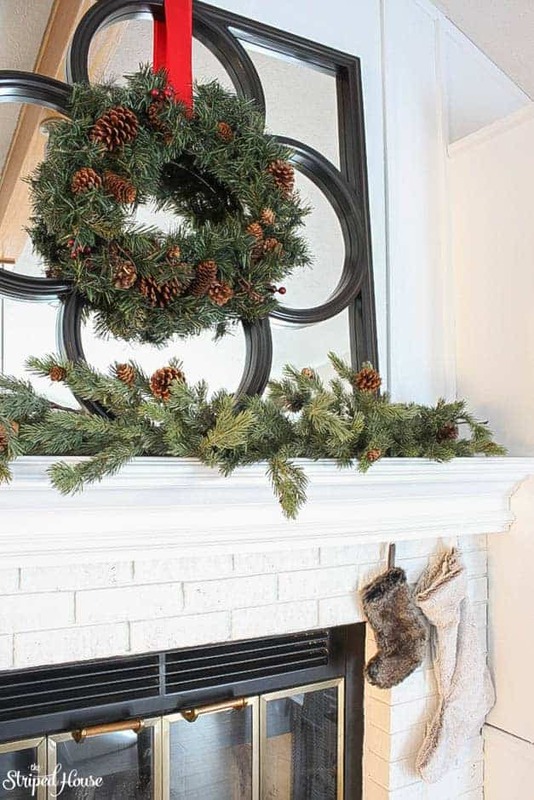 If you enjoyed seeing my home, please pin, share and spread the holiday cheer! This is gorgeous! 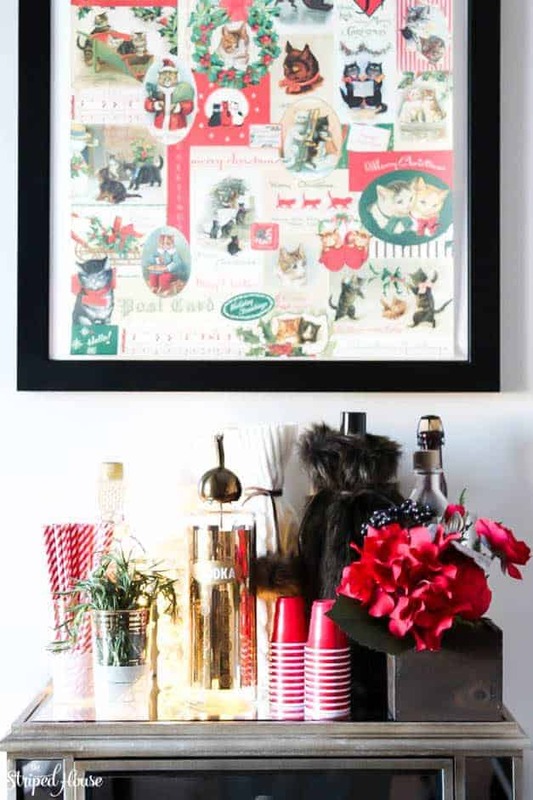 I am digging the red and cat-astic decor you have. I tried scouring the hardware stores and local nurseries (garden) for scrap trimmings, no one had any. Next time I will go sooner. I love how cohesive everything looks. Love it all Jen! 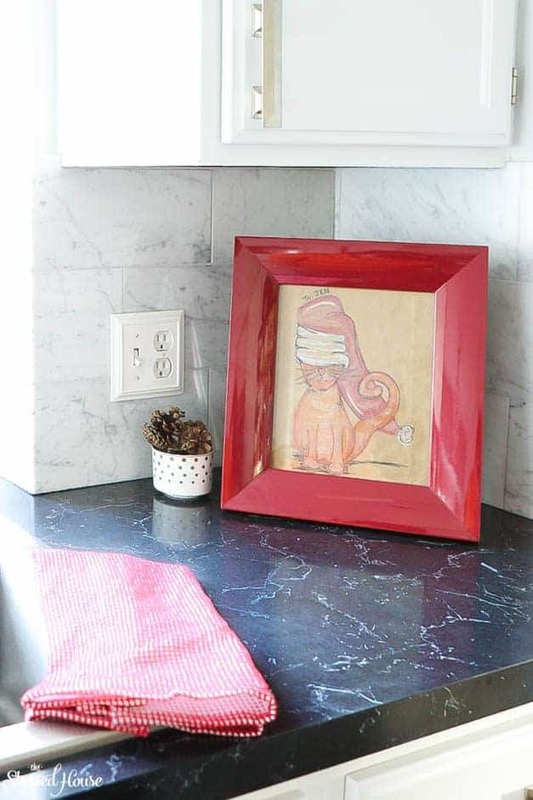 The cute cat art in the kitchen really caught my eye, as a fellow cat lover. Just adorable! So glad to be a part of the tour with you! it is ALL SO GOOD but i am especially in love with your master bedroom!!! love the garland on the canopy! Such a pretty tour! I love the garland on your canopy bed and your kitchen is beautiful. 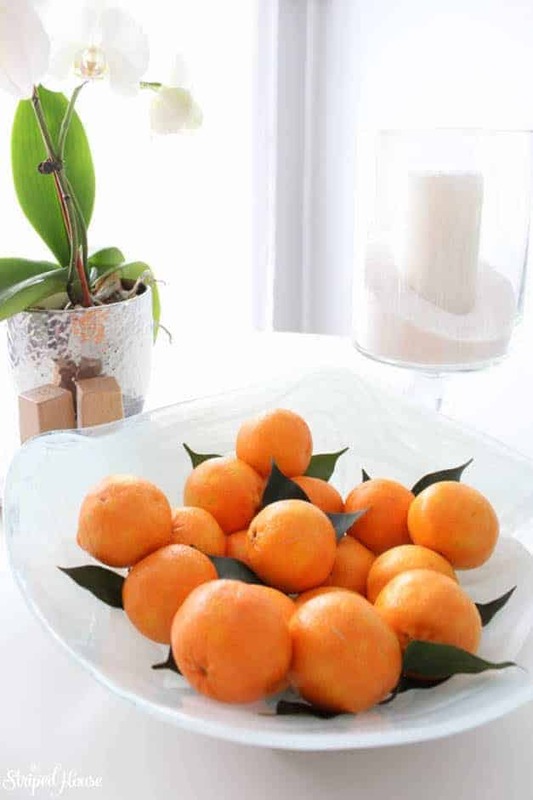 Where did you find such pretty oranges with the leaves attached? I can only find the kind with ugly stickers all over them. It’s so pretty! 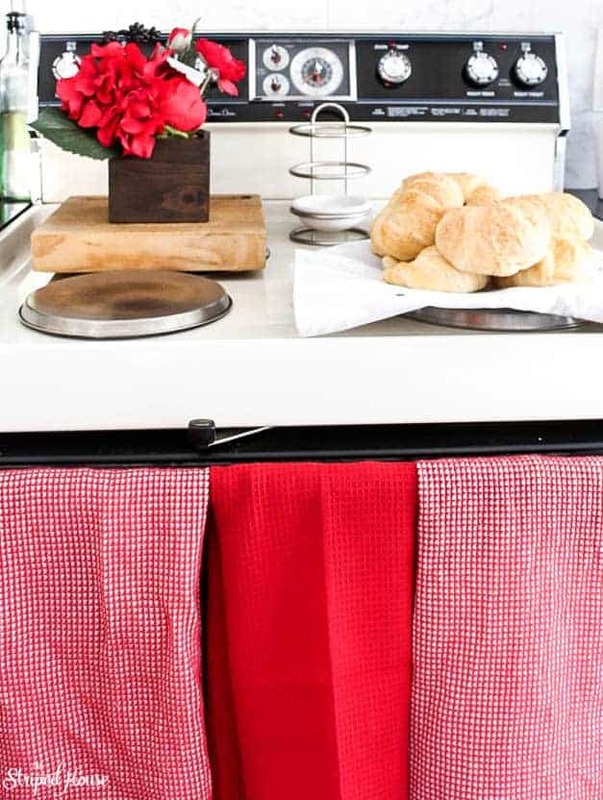 I love the red in the kitchen! OMG!!! Your master bedroom is amazing. I love the garland draped over the canopy. Beautiful home. Woah! 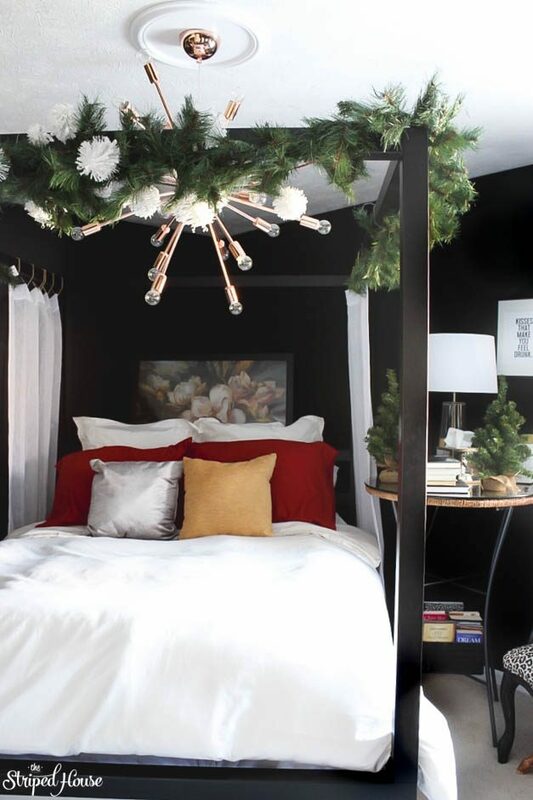 You have me at that canopy bed and light fixture! I love how you added garland to it it too! 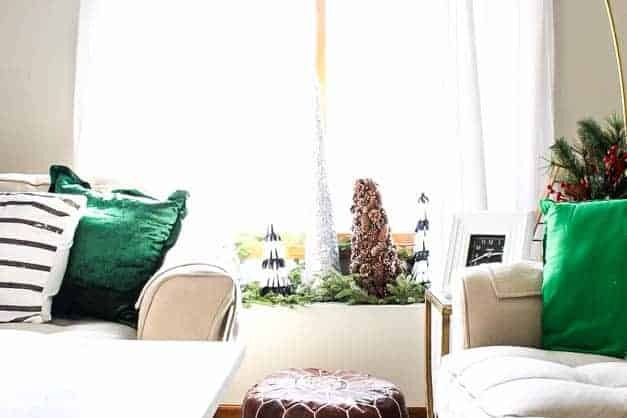 Genius and gorgeous home tour! That master bedroom! So good! 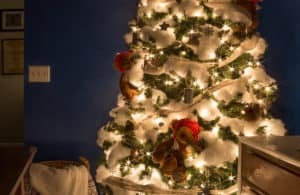 Jen, your holiday home decor is perfect! 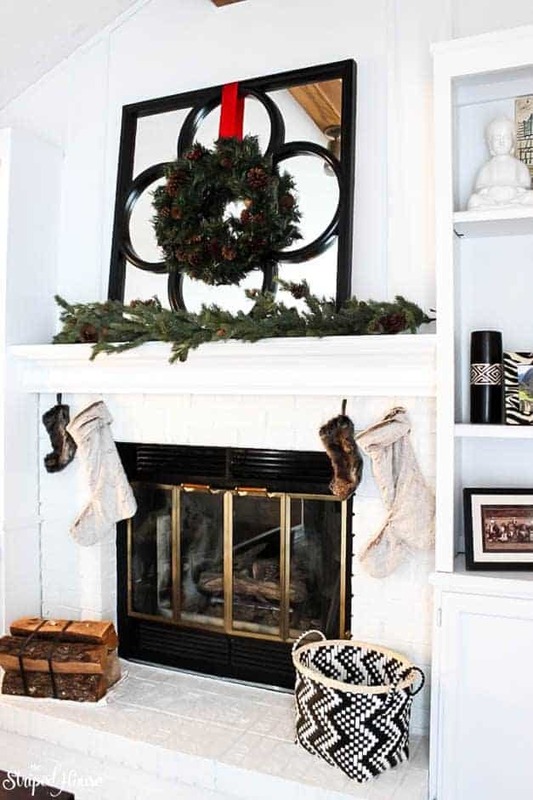 I love the mantle and fireplace surround. I totally wish we were neighbors and I could come enjoy a cocktail at your little bar! It’s so awesome! Thanks for sharing your beautiful home with us!! Great color combination! And yes i have to agree the bed is amazing! Looks bright and cheery! I’m in love with the garland you hung over your canopy bed though! What an amazing tour! 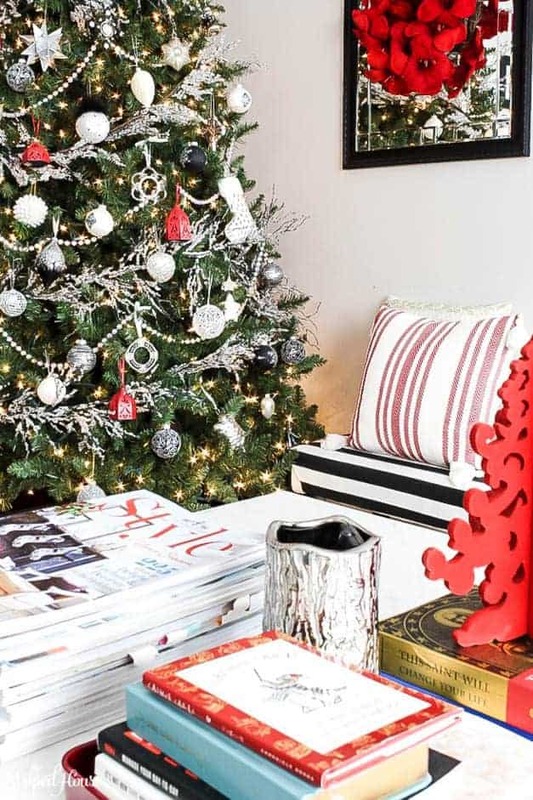 I’m so very inspired by your holiday touches in your bedroom…it is such an incredibly cozy and festive space! Happy Holidays to you! 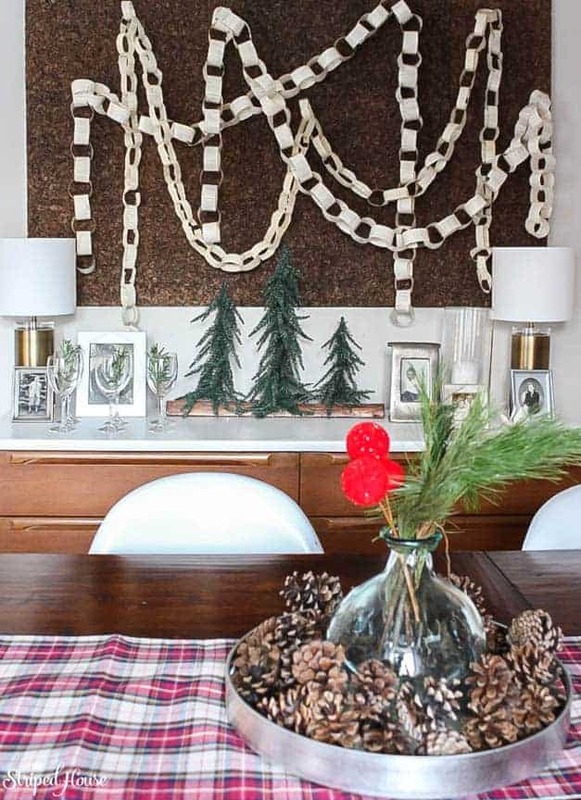 Love the use of rosemary and tree scraps in your holiday decor! I bet it smells good. I always bee-line to the tree scraps at HD too. 🙂 Happy holidays! 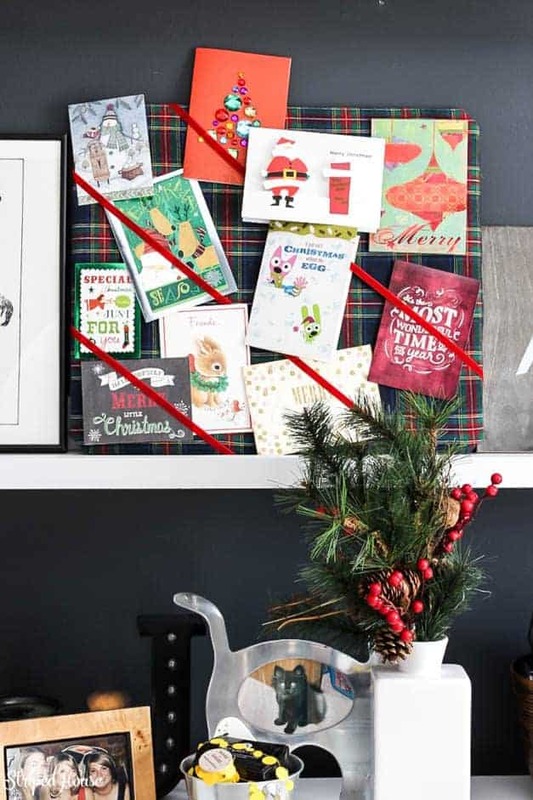 I love the festive decor in all of your rooms! 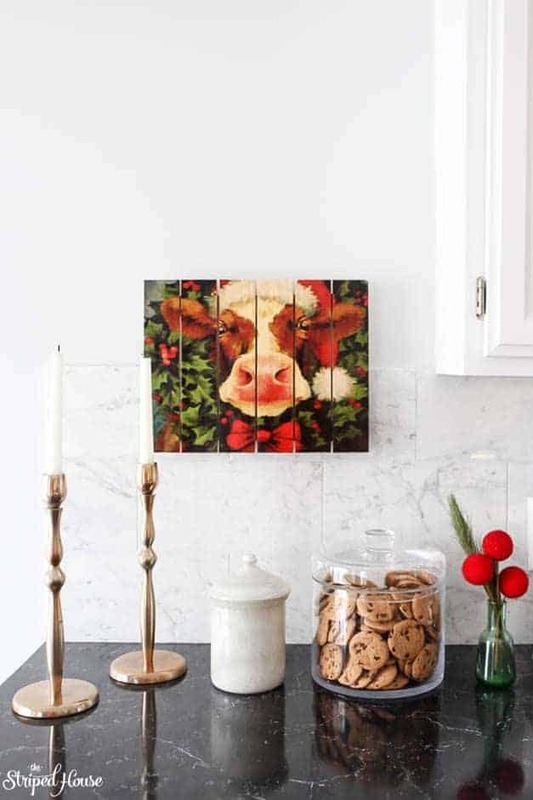 The cow in the kitchen is my favorite! Beautiful home tour. 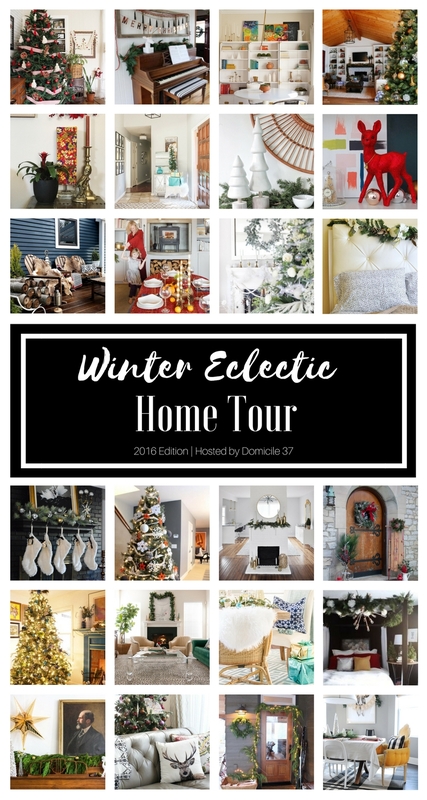 Your home tour is amazing!!! 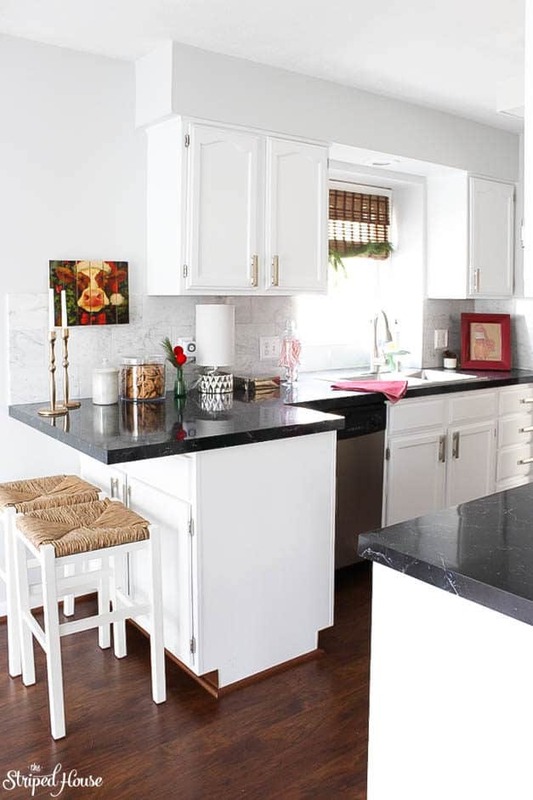 Love your modern flair! 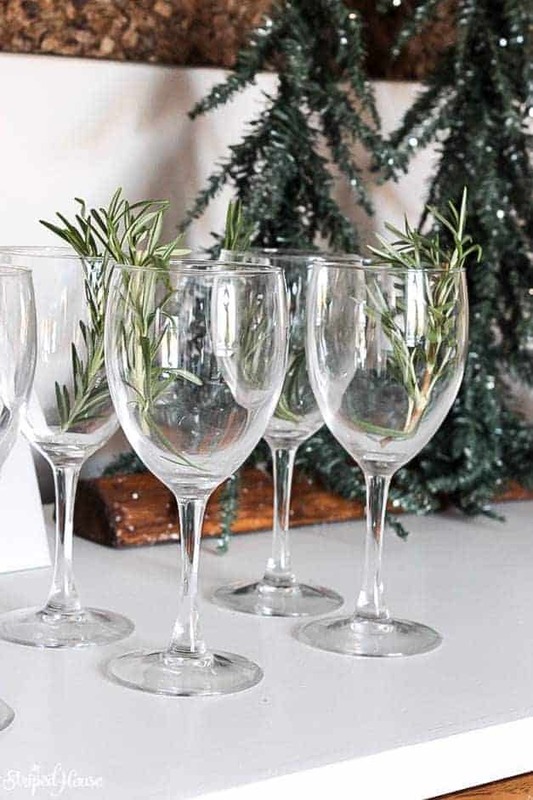 I wish we lived closer so I could come over for a holiday cocktail! ? 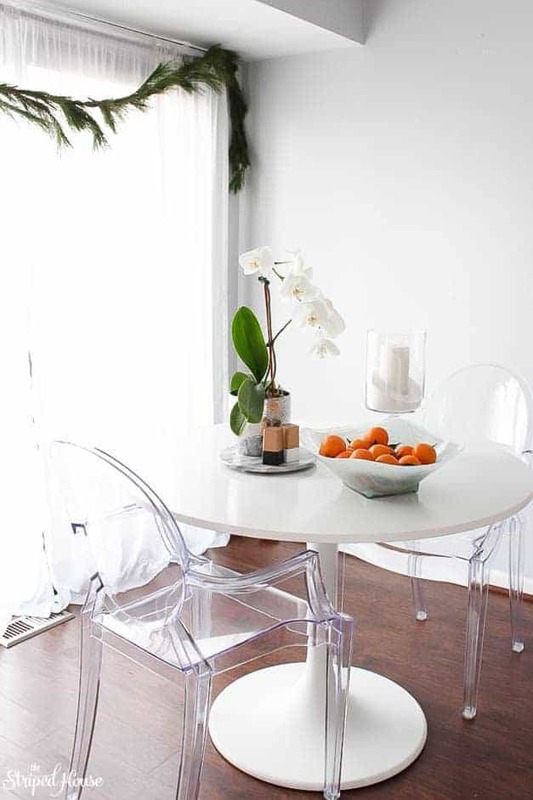 Your home and photography is so lovely! Miss you. Happy holidays! So many homes that I see in bogland are traditional/country so I’m liking the upbeat look of what I’m seeing on this blog hop.